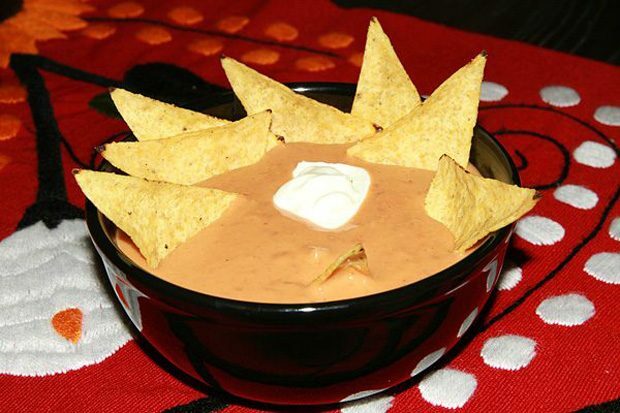 In a saucepan, melt cheese with milk and sour cream stirring constantly until mixed. Next add beans and stir until smooth. Lastly add salsa for flavour. Serve hot with La Cocina Tortilla Chips. La Cocina Foods in Manitoba offers a tasty variety of thin Tortilla Chips as well as authentic Corn Tortillas. Committed to excellence, La Cocina Foods produces the top quality products you have come to enjoy.